Guests mixed and mingled at the Mattress Factory’s annual fundraiser on Friday, June 19, 2015. That’s the sentiment when it comes to the Mattress Factory’s annual Urban Garden party, which was held June 19 this year. Party-goers didn’t hold back when expressing themselves through dress.At this party, anyone could be anyone, or anything, for that matter. Mouseketeers mingled with mermaids, while drag queens danced with Dan Marino. We like to invite our neighbors and artists and friends. It’s just an eclectic mix of people of all different ages and backgrounds,” Harpster said. Over 1,200 people attended this year’s party, which serves as the museum’s primary fundraiser, making the Sampsonia Way in Central Northside the busiest, most colorful street in the city. “I think especially since we’re in a residential area our neighbors have been very generous,” Shannon Berkheiser, education program coordinator, said. “Obviously it takes a lot for us to put something like this on. The party was followed by a free-day June 22 where anyone could visit, and take part in various arts and crafts. 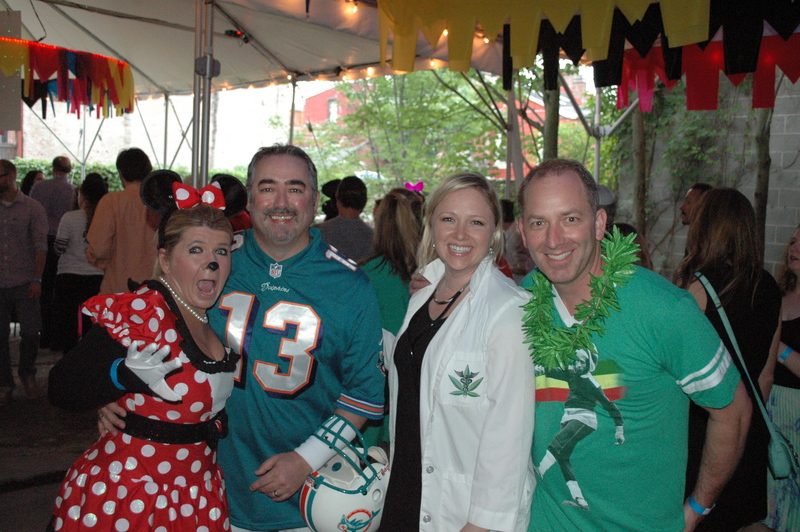 Disney characters and Dan Marino were just a few of many guests enjoying the Mattress Factory’s annual fundraiser. The Northside Chronicle is a hyper-local community newspaper for the Northside neighborhoods of Pittsburgh, Pennsylvania.